This is the discontinued original version and running with Sovtek 5881 powertubes. 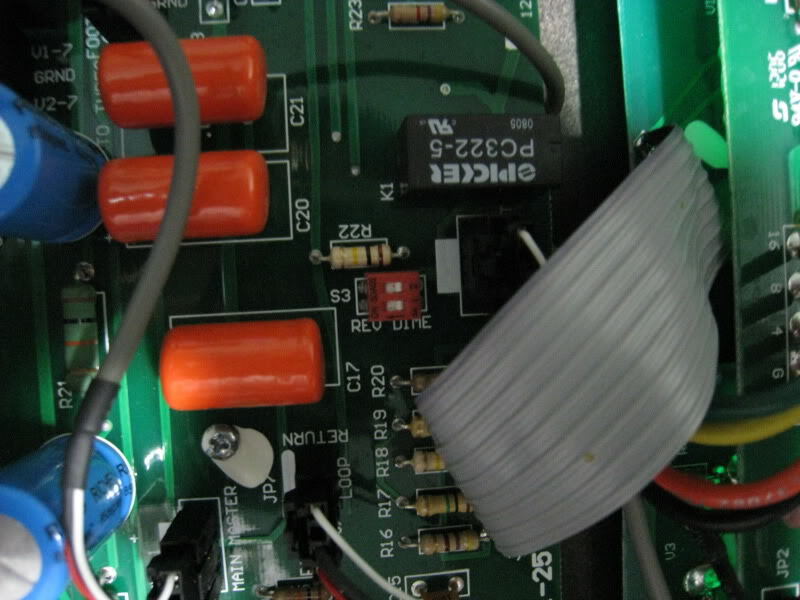 having larger output transformer and active FX booster. Metallic power switchers on the original Krankenstein. The "Krank amplification" logo is smaller than Plus (+) version. Back panel - Do you see the picture of Dimebag Darrell ? Krank Amplification, made in U.S.A. I believe these mini switches are (S3 and S4) for converting between Krank Revolution and Krankenstein model. you would get much darker tone, much more output volume and huge bottom end punch. If you switched either 1 or 2 to "REV" position, you would get rid of fizziness from Krankenstein. Do these at your own risk !!! Different value of presence pot between Krank Revolution and Krankenstein model. it must be 535V or can be less? ?